Tags: new content, monkey, game news, sunset. It weighs heavy on our hearts to share that the Egg Breaker series is no longer receiving enough interest to continually develop new content. After seven and a half years of egg breaking fun and over 70 billion eggs broken, we are releasing our final new content monkey: the Sunset Puzzle Monkey. 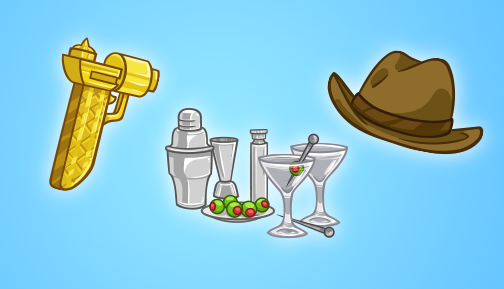 Along with the Sunset Puzzle Monkey, we will be giving all players a very special free Sunset Hat with a powerful buff. Please accept this gift as a token of our appreciation for your support over the years. 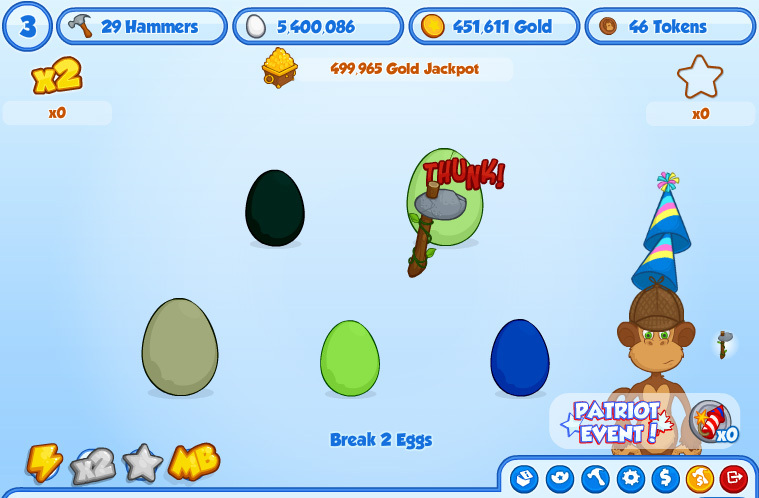 After this final release of content, we will no longer be developing new content for the Egg Breaker series. The volunteer chat mod program will be suspended and Erika will no longer be in chat on Thursdays. 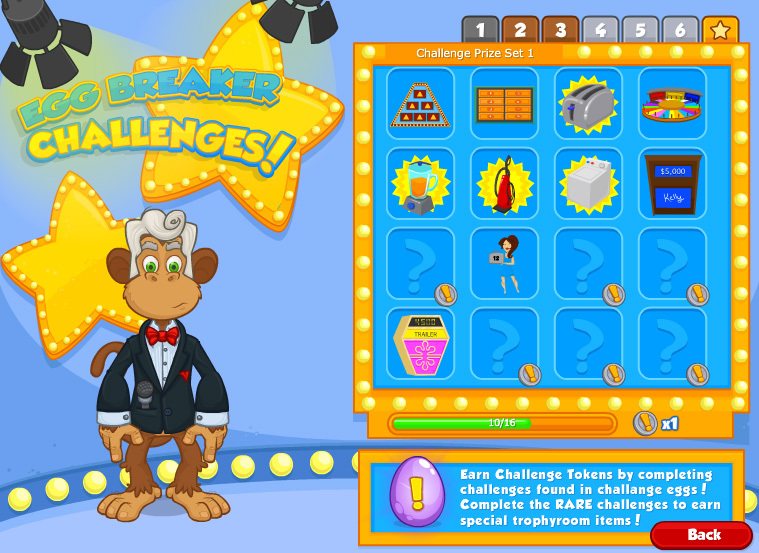 However, the existing Egg Breaker Adventures game will stay on indefinitely and your progress will not be lost. We will keep the game and the chat live, so you can come still break eggs and chat with your friends. Existing events will continue to repeat each year. We would like to take this opportunity to thank you. Many of you have been with us from the very beginning and it has been an amazing adventure we have gone on together. We cannot thank you enough for all the years of egg breaking! P.S. This news is only applicable to the Egg Breaker series. We continue to provide updates and new content for Bush Whacker 2 and Crusaders of the Lost Idols. The Challenge Fairy enjoys participating in Talk Like a Pirate day and so she's gathered an assortment of pirate prizes for you to help her unlock. 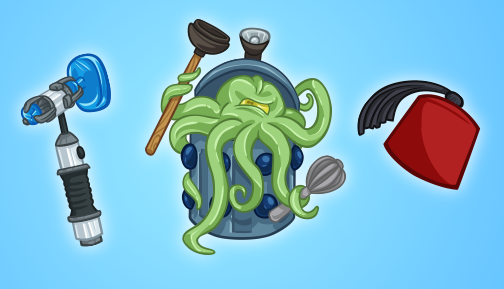 Grab your hammers and prepare to scour the high seas in the Egg Break-ARRR burst event! For the duration of the event, special challenge eggs will temporarily replace all normal challenge eggs, and the eggs will appear at a higher than usual rate. 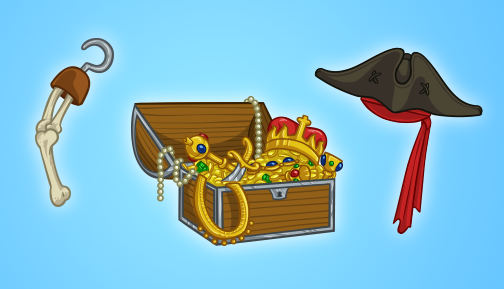 Players can earn 12 event prizes of various Pirate themed items from cashing in Event Tokens with the Challenge Fairy Monkey. The 3 Corner Hat adds 10% More Multipliers! The Pirate Arm Hammer adds More Stars! 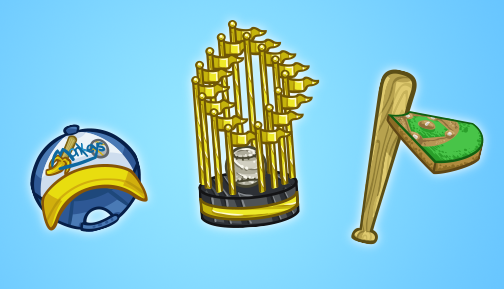 The Treasure Chest richly enhances any trophy room! The event will run until Wednesday September 23rd at Noon PDT! Tags: new content monkey, eba. Wherever Nate goes, trouble is sure to follow! But how can something so cute be so evil? 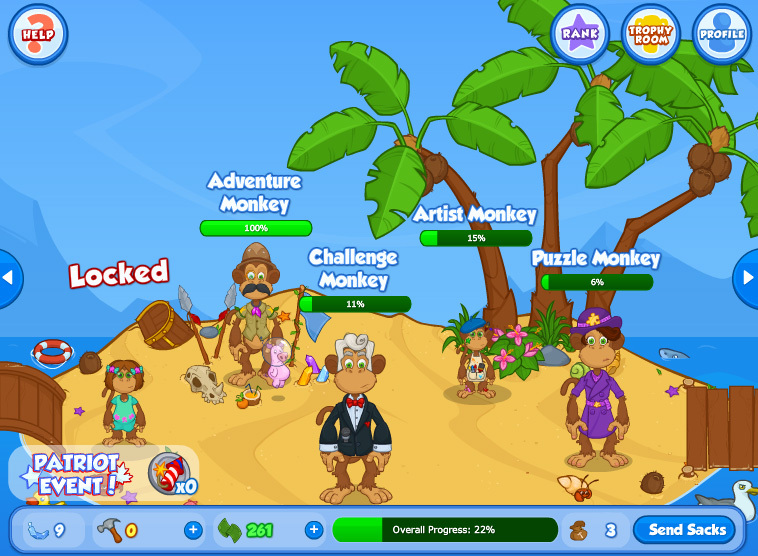 The Princess monkey is taking the Islands by storm...literally! Her boat crashed and she lost her luggage as she ventured out on her island vacation. Help her find her prizes scattered in all the eggs! She brings nine sparkly new stages full of more Bush Whacker 2 themed prizes for you to smash your way through. The Princess monkey can be unlocked for 9 Crystal bananas. Trophy Room, Hammer and 100% Completion Trophy! The Princess Monkey has a brand-new purple filled Trophy Room for a mere 5000 Gold earned within her stages, which of course you'll want to unlock so you can display the fantastic completion trophy! Want to grab the Princess Hammer? 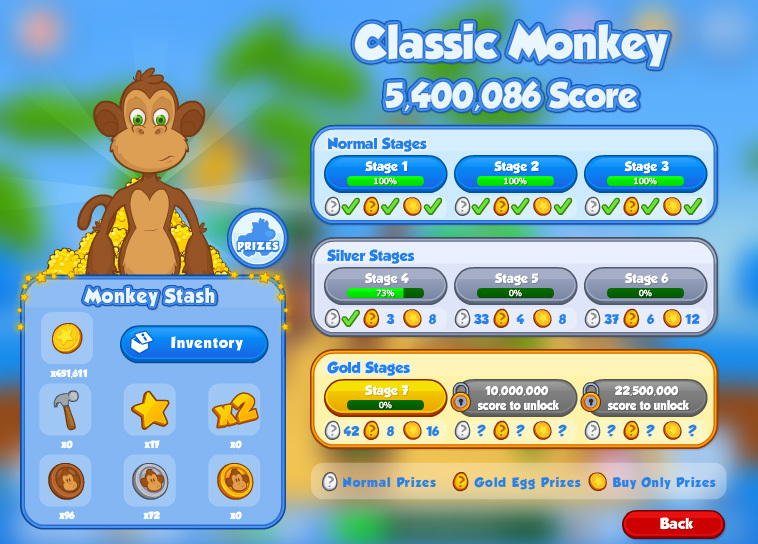 Start saving all your coins - it'll cost you a cool 1,000,000 Gold from the Princess monkey's treasure coffers! It will provide you with more multipliers. Talk about her on the forums! *whee-oo* *whee-oo* What was that sound? Was that a hint of blue? 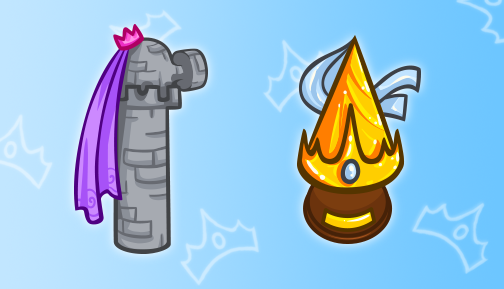 Geek out with the Challenge Fairy and unlock her timey-wimey themed prizes in an all-new Physician When Challenge Event! Allons-y! For the duration of the event, special challenge eggs will temporarily replace all normal challenge eggs, and the eggs will appear at a higher than usual rate. 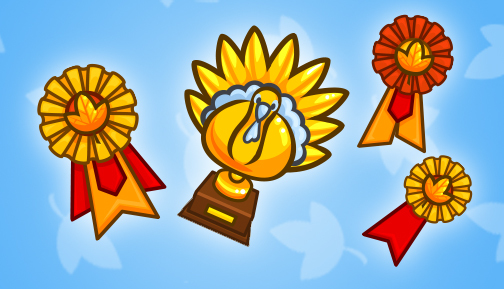 Players can earn 12 event prizes of various Physician When themed items from cashing in Event Tokens with the Challenge Fairy Monkey. Because this event is running during the Back to School event, the opt-out button is available. The Cool Fez adds 10% More Stars! 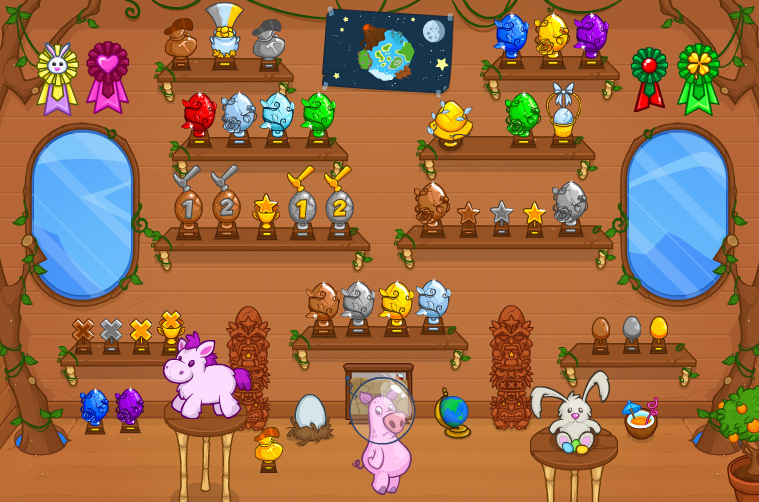 The Grumpy Alien makes any trophy room look fantastic! The Sonic Scrambler Hammer adds Less Nothings! The event will run until Wednesday September 16th at Noon PDT. Pancakes! Smoked salmon! Waffles! Mimosas! So many things to love about the magical meal that is half breakfast, half lunch and all brunch! 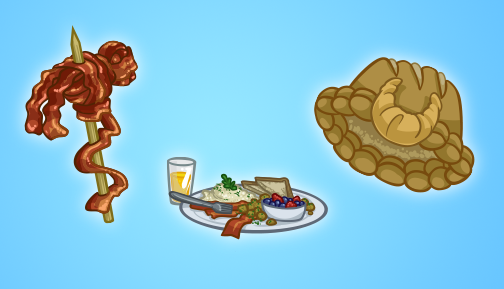 Celebrate with the Challenge Fairy and her drool-worthy prizes in the all-new Brunch Burst Event! For the duration of the event, special challenge eggs will temporarily replace all normal challenge eggs, and the eggs will appear at a higher than usual rate. 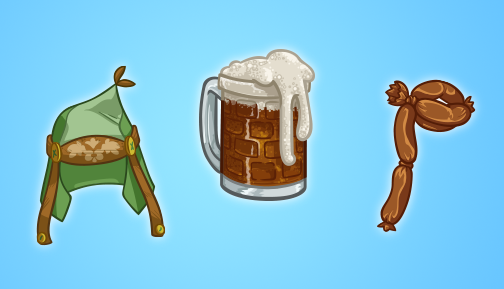 Players can earn 12 event prizes of various Brunch themed items from cashing in Event Tokens with the Challenge Fairy Monkey. The yummy looking Croissant Hat adds 10% Less Nothings! The Plate of Brunch Food looks scrumptiously edible in any trophy room! The sizzling Bacon Hammer adds More Stars! The event will run until Tuesday September 1st at Noon PDT.